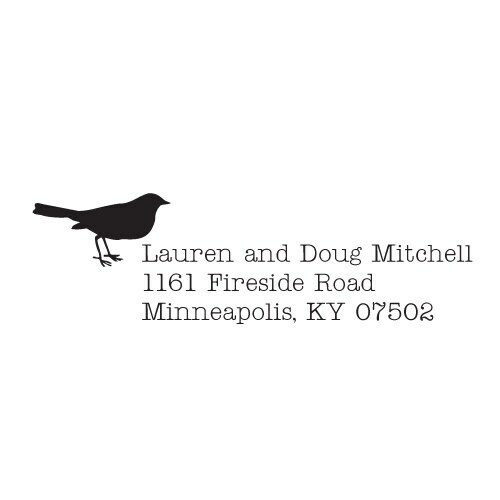 Sweet bird and modern typewriter font to adorn your stationery and packages. Dimensions: 0.75” x 2.33” (19mm x 59mm), approximately. One Proof and Two Revisions for corrections only. The design and fonts cannot be changed. Abbreviations may be necessary. 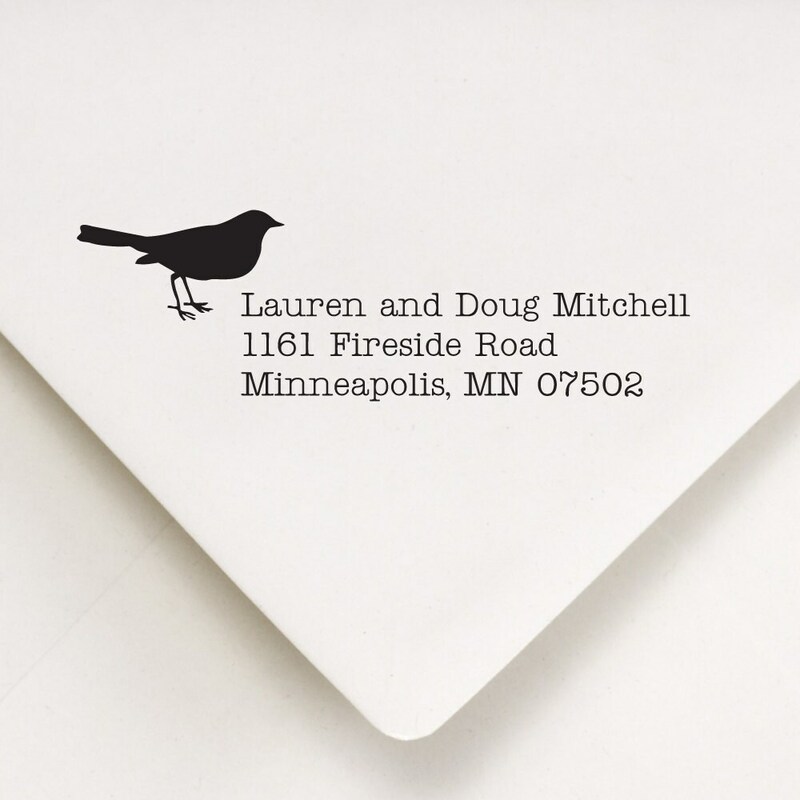 Add the names & address in the "Note to RubberStampPress" box. 📌 Your Approval Is Required! 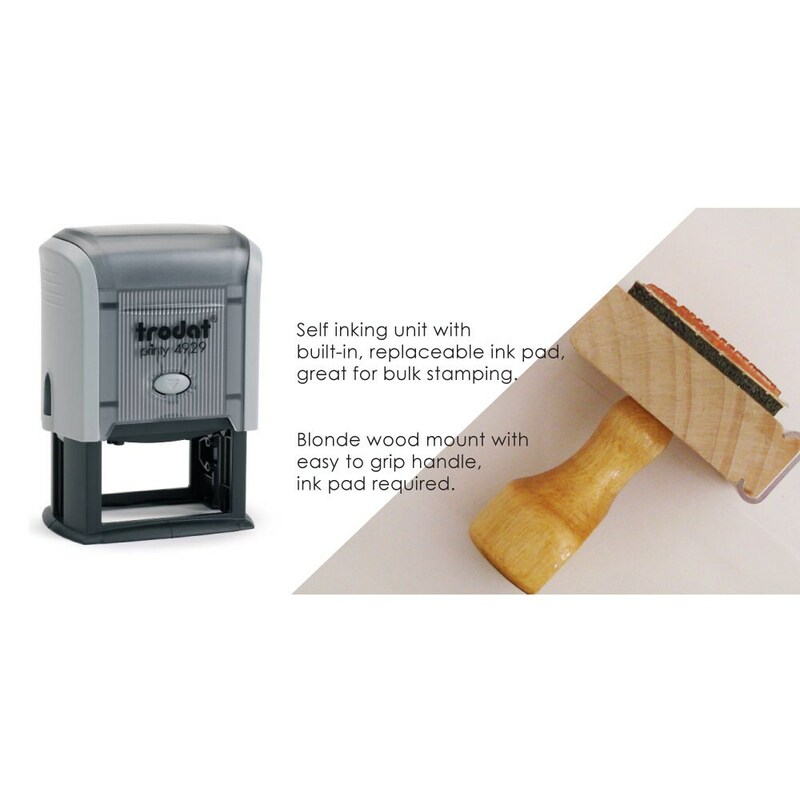 Orders are produced & shipped 2-4 business days after we receive your approval. Beautiful address stamp, exactly as shown. Great service. Received really quickly. Thanks so much for the wonderful item and service! I love, love the design, the delivery time, the price, and the customer service. Can't say enough good things about them! They rock! Exactly as described, fast shipping. Easy service. Excellent product. LOVE it! My husband and I are thrilled with our gallery stamp! Thank you so much. I really appreciate the turn round time and the quick shipping.